Clockwise from top left are Don Romano, Joe Hinrichs, Alexander Lvovich and Joni Paiva. Three leading automaker executives of Canadian operations will appear at the third annual Automotive News Canada Congress Feb. 14 during the Canadian International Auto Show in Toronto. 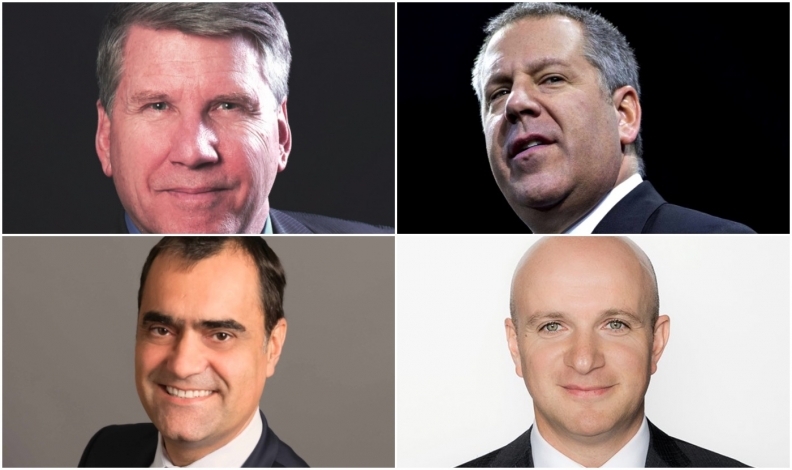 Joe Hinrichs, executive vice-president and president of Global Operations for Ford; Don Romano, CEO of Hyundai Canada; Joni Paiva, president of Nissan Canada; and Alexander Lvovich, managing director of Volvo Car of Canada, will be featured speakers. The Automotive News Canada Congress focuses on automakers, their original-equipment suppliers and franchised car dealers from a Canadian perspective. Industry trends, technology advances and automaker planning will also be highlighted during this half-day event. Complete 2018 Congress coverage and 2019 info here. The Congress has attracted a sold-out audience during the first two years in Toronto. This year’s event will be held at the Toronto Hilton. Shuttle service to the auto show will be available.